When your partner asks if you are okay with something and you respond with, ‘It’s fine’ do you mean it’s fine or is that code for ‘It’s actually not fine at all’? 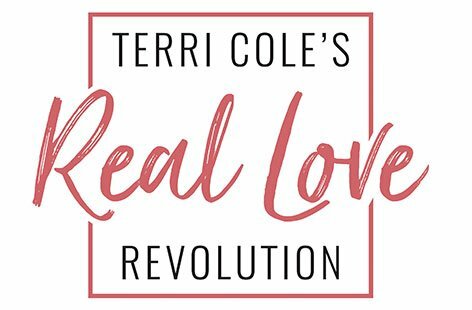 How well do you honestly and authentically communicate in your relationship? Most people are never taught how to communicate effectively. Without this knowledge, it becomes difficult to have a healthy, intimate connection with a partner. The most common communication myth is that if you’re talking to your partner, you are effectively communicating. That is not necessarily so. If you are communicating inauthentically by speaking in code (saying fine when you don’t mean fine) or acting out your feelings instead of expressing them with words, you’re simply communicating badly and ineffectively. All family systems have their own style of communication. In some families, most conversations are actually debates with winners and losers. Some have a silent agreement to avoid discussing anything negative or messy, which leads to difficulty with effective problem solving (how can you solve what you don’t acknowledge?) In most dysfunctional family systems, deeply listening is not taught or valued. This leads many couples to struggle with communicating in a meaningful and satisfying way, which is the objective of effective communication. Couples who endlessly give each other unsolicited advice with the desire to ‘fix’ something are driven by their own discomfort and anxiety. How much listening is actually happening in these exchanges? Active or as I like to call it athletic listening is also a crucial piece to the communication puzzle. Think about your own communication style. Do you repeat back what your partner has said, to ensure that you understood them correctly? So much of the time the filter we listen through distorts what we hear. Communication can make or break a relationship and how you communicate with your significant other is an excellent indicator of how you communicate in every other relationship in your life. How to listen to your partner without distorting his/her thoughts and feelings. Dr. Hendrix says the first step of an intentional dialogue is to mirror your partner and let him/her be heard without judgment. Follow this basic script with your partner. If you feel your partner didn’t understand your message, explain again and have him mirror you until the message is received. Complete the message. If you were heard accurately, your partner says, “Is there more about that?” This helps you complete your feelings and prevents your partner from responding to incomplete messages. When your message has been heard accurately, you can then move the discussion forward. This is a way of setting up the foundation for good communication as each partner has time and space to be heard, accurately and without interruption. 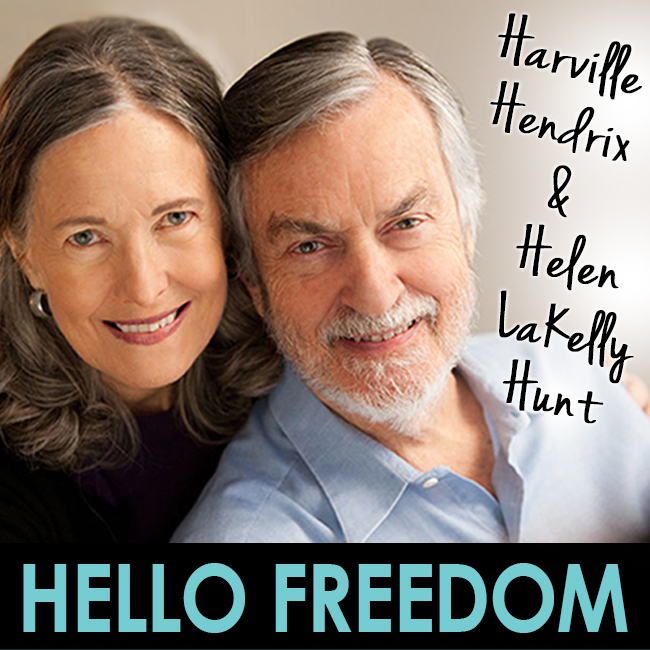 Today, I’m so excited to share with you my illuminating interview with Dr. Harville Hendrix & Helen LaKelly Hunt both world renowned communication and relationship experts, and personal h eroes of mine. This married team of change-makers are the creators of Imago Relationship Theory. The Imago technique is used primarily for couples work, but also for families and other relationships, as a means to uncover and heal old wounds and to set up a new format of communication that works. Harville and Helen recently created a new program called Safe Conversations, all about supporting family relationships. 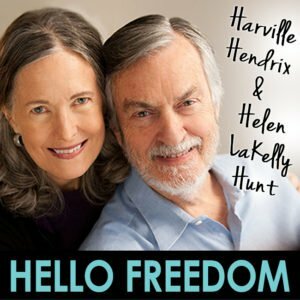 Their simple premise is that healthy, communicating couples create healthy children who have communication skills needed to thrive in all relationships. Safe Conversations seeks to use this concept to strengthen families and communities in cities across the country. Their strategies are incredibly accessible while also being clinically astute. They encourage self-discovery plus a deeper understanding of those in your life. Mastering these techniques will open a whole new world of empowered conversations to you. If you uplevel your ability to actively listen and speak your truth, you will inevitably uplevel your entire life. *Featured image courtesy of areta ekarafi.